Our cinnamon packets are taking Starbucks by storm! Quite simply, we've created cinnamon packets - just like sugar packets, but with cinnamon. Surprisingly, it's never been done before. 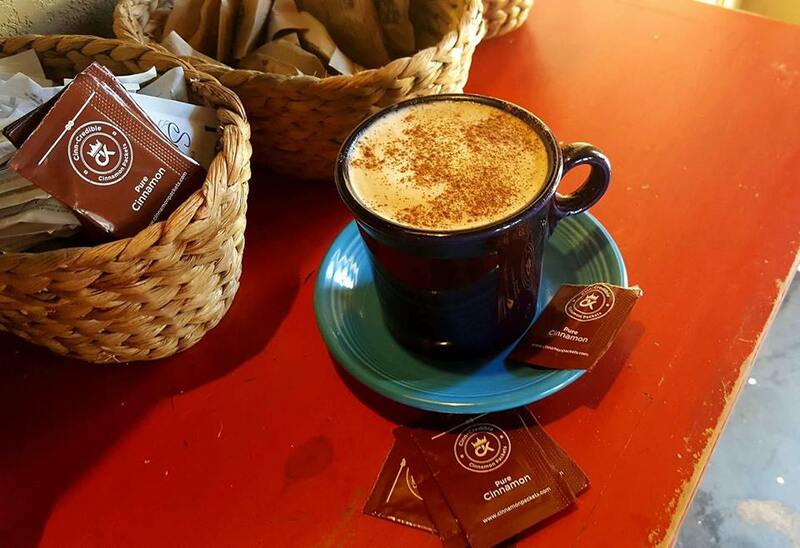 Our vision is to see our cinnamon packets next to the sugar in every Starbucks and breakfast house around! This page exists only for our friends and family, and their friends and family. Your support and feedback are important to us. Let us know what you think of our first-of-its-kind product. Feel free to check out the rest of the website for more information, and if you like our idea, please consider spreading the word below. Let your followers know about this amazing new product. They can even win FREE cinnamon packets! If you're so compelled, please consider supporting our Kickstarter campaign. You'll receive cinnamon packets and the eternal gratitude of the Cinnamon King and Queen!